Water based tourism is the type of tourism which is developed on water bodies and this is still lacking in Uganda though the government has hopes of developing this type of tourism since there are many tourists who come for safaris to Uganda and specifically want to engage in other activities. 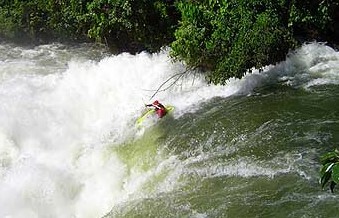 Water based tourism can be carried on the lakes and rivers and the common activities which can be participated in include; boat cruises, white water rafting , bungee jumping, swimming, and canoe rides which are enjoyed by many tourists who come for Uganda safaris , this has helped in increasing the revenues of the country. River Nile which is located which in Uganda is a good place to develop good water based activities since it has got the surface to carry out that activity. This river can encourage white water rafting which is liked by many tourists who come for safaris in Uganda; there can also be bungee jumping, swimming, boat cruises and many more. Uganda has got many water bodies which can support the water based tourism activities, these include; lake Bunyonyi, lake George, lake Edward, lake Victoria and many others, all these lakes can provide surface for the development of water based tourism in Uganda and this will help in increasing the revenues of the tourism sector and also developing the country.